Do you recognize this kitchen? 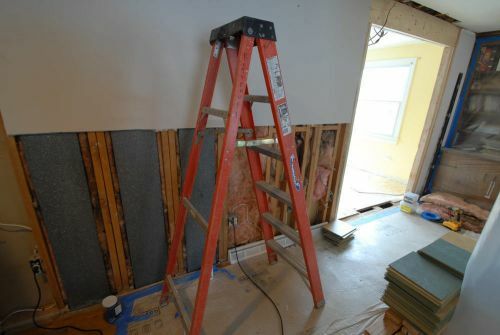 It was one of the first reader kitchens we ever featured on the blog, back in the wee early days when RetroRenovation.com was still just a fooling-around-on-the-internet hobby. 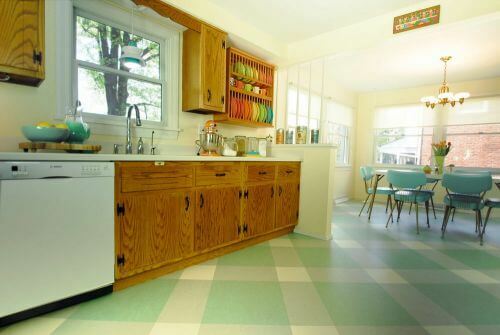 It’s Diana’s lovely 1963 kitchen — showcased to spotlight the beauty of the original oak kitchen cabinets. This past year, Diana made some structural design changes — and in the process, the kitchen and dining room got a flooring update. So darn cheery I could bust! Lots of great photos from the architects on this project, qkArchitecture. Let’s take a look! Hi Pam, it’s been a few years since you posted about my kitchen cabinets on your blog. We recently opened up two walls that separate our kitchen from the hall and family room, and I thought you might appreciate the end result. We have lived in this house for eight years. We only decided to open the walls a year ago. There were very good reasons for us to open these two walls. One wall was causing a bottle neck in the hallway/top of basement stairs and it made it hard to walk through the hallway. The other was that there was no direct route out of the kitchen from our nook and it felt like we needed some flow near the nook. We did all this work without moving or changing any other original structures like the cabinets in both rooms. And we managed to find a place for our cute Aqua hutch in the nook. We hired the architect first. We wanted someone to understand what we wanted architecturally, as I really didn’t want the house to lose the character. 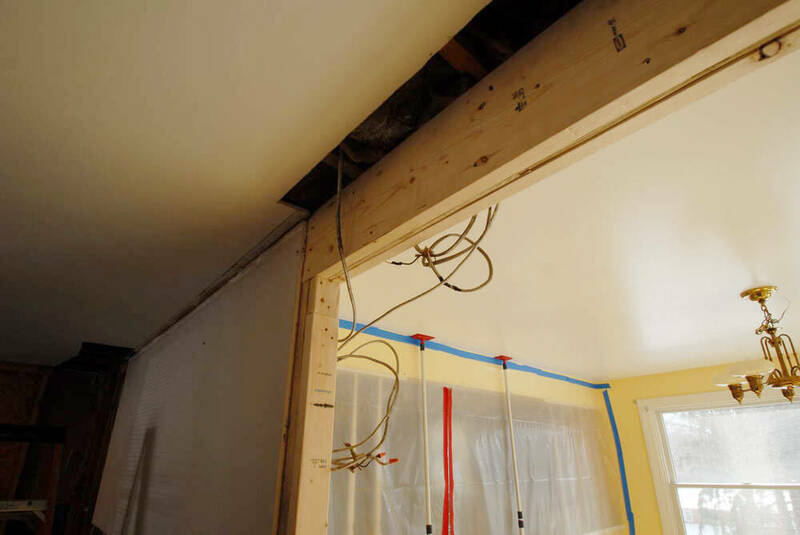 And, since we were removing two load-bearing walls, we wanted to make sure the design (both from a historic perspective and an engineering perspective0 was sound. Of course we had to get a permit too. The architect helped us even after the plans were prepared; he was a person we could get advice from as the project progressed and we also knew he could look for issues we may have missed. My husband and I really liked that. The project required that we hire a contractor (we opened up load bearing walls). The contractor was Pittsburgh Remodeling Company; they were great at respecting that we wanted to keep the original details and not “gut” the space. The new doorway opens the kitchen dining area to the living room, creating a nice circular flow in and out of the kitchen — previously, this was a solid wall. Regarding the floor, we had to replace what was in the kitchen because when we opened up the two walls next to the kitchen there was no floor in the transition between the rooms; so we replaced the kitchen floor and added new oak planks that was feathered in from the family room. The floor that was previously in the kitchen was not the original floor so I didn’t feel too bad about changing that. Diana also updated/”backdated” the lighting in the kitchen. “The old ones were very 1990s and we didn’t think they were good design choices,” she said. 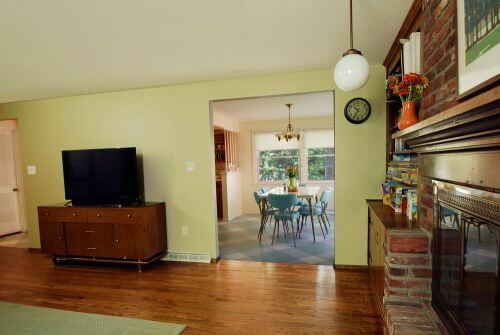 The fixture above the dinette is vintage found on craigslist, while the rest of the fixtures are from Rejuvenation. 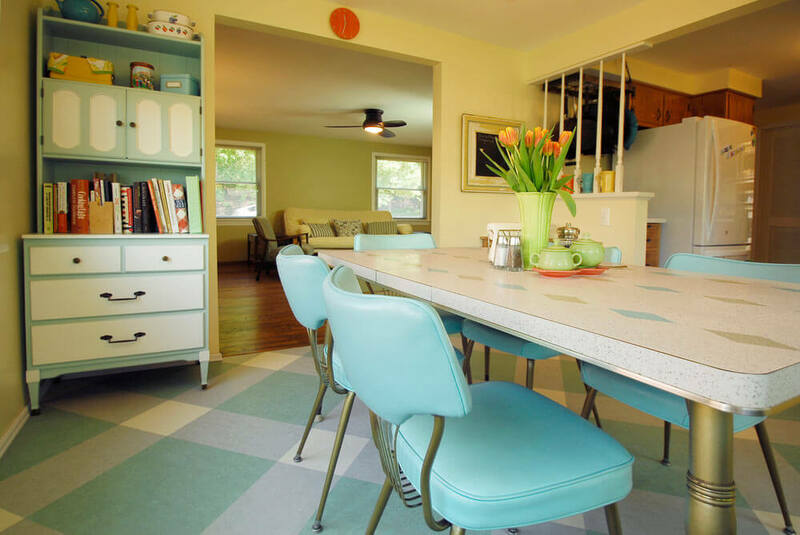 The colors we picked for the new kitchen floor were pulled from the vintage kitchen table; the pattern was a plaid pattern that I liked because it felt very 1960s to me. We are so happy to have better flow yet keep the retro feel of the space (if anything it feels even more retro now). Diana, the new flooring looks great fantastic — in fact, it seems to make the whole kitchen literally glow with the retro-happy. In this case, Diana was in her home seven years before making the decision to open the kitchen to the living room and expand the doorway to the hall. Her time spent in the house gave her the rich understanding and confidence as caretaker to make a decision that would truly benefit [rather than remuddle] the house. When the time came to make the change, she also engaged an architect so that the changes made were in harmony with the house, so they were structurally sound, and so she could have a sounding board and more advice as the project progressed. 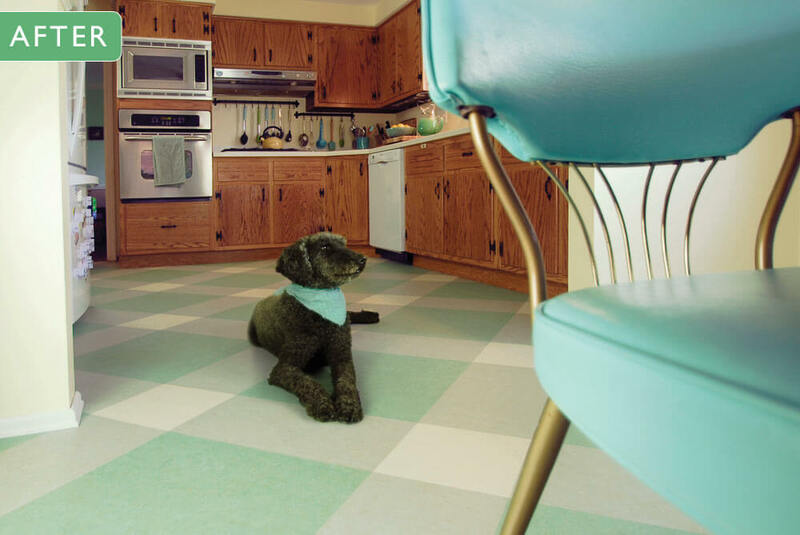 I think that also: Taking time before you change an old house that’s new to you gives you meaningful time to study and grow into your retro style — again, so that you can make cosmetic (albeit often expensive) changes — like flooring — that will make you happy for many years to come. I am not anti-changing walls, etc. : Sometimes it is very beneficial to make architectural changes — including hiring a professional like an architect to help. See my story: Should you “fix the architecture” — my seven tips. And this one: Nine tips before you start remodeling a midcentury house. What’s your retro design style? 11 archetypes. Thank you, qkArchitecture, for the great photos. 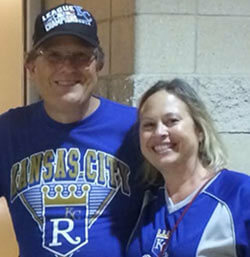 And thank you, Diana, for sharing your story and all the back and forth with me via email to pull it together. Incredibly beautiful — and inspiring! I have a question for Diana, or anyone who has installed the Marmoleum Modular tile. We are seriously considering tile in the “Color”, “Shade” and “Marble” line, but I’m wondering about what is required for maintenance. That is, other than standard regular cleaning, is waxing, polishing, etc., required, and if so, how often? Ideally, we wanted to find a tile that requires no waxing or polishing but does retain some degree of glossiness. Given that we want tiles with a retro look, that may not be possible. 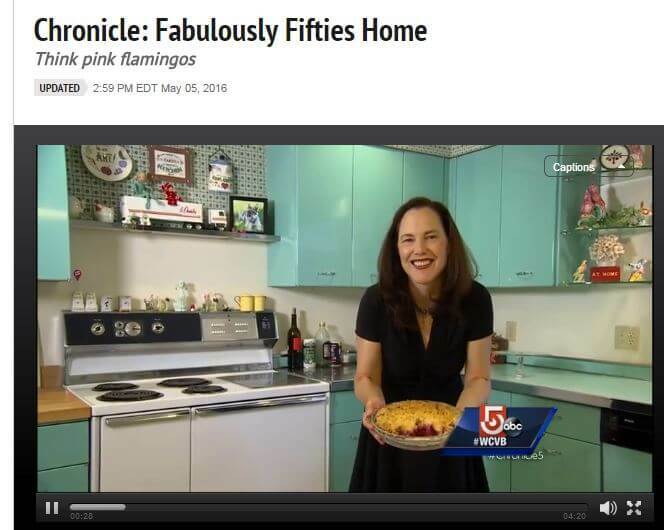 (We have a 1949 kitchen.) I have read the manufacturer’s documents about maintenance, but I’m interested in the experience of consumers. Thank you! Did the homeowner use Marmoleum Click (12×12 or 12×36 plywood-backed tiles) or the modular tiles? I absolutely love the retro style. If I could’ve gotten my wife onboard, I would have done our whole home circa 1960. I love the floor so much!!!!!!! 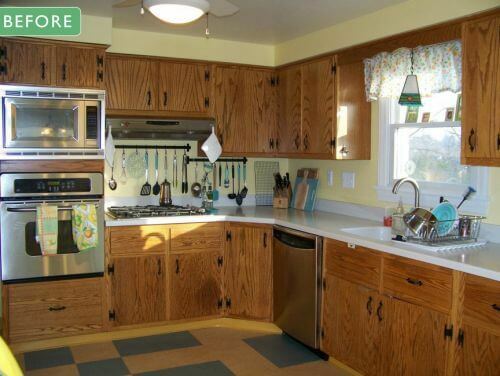 The whole kitchen is a perfect retro hug ???? looks like you are going to have many happy times in there!